Iraq News Monitor is a regular blog summarising daily media coverage on Iraq. The head of the Iraqi and American Chamber of Commerce and Industry, Ra'ad Omar, said that contracts worth $97 million were signed by foreign companies to rebuild the Kurdistan region. More than 370 Iraqi, Arab and foreign companies participated in the Sulimaniya fair, which witnessed great success according to Omar. He added that there is a plan to establish a fair and free trade zone near Baghdad International Airport (BIAP) next year. Lebanon's Make Oil Company is expected to start building a $3 billion oil refinery in Iraqi Kurdistan within one month, company management told The Daily Star on Tuesday. The firm expects to sign a contract with the Iraqi Natural Resources Ministry in about three weeks and can start construction immediately in Dhouk, near Irbil, Make Oil general manager Ahmad Kheireddine said. Construction should last between two and three years, and once completed the refinery will be able to handle 250,000 barrels per day, said Make Oil lead engineer Mahmoud Darwish. The company's investors for the Kurdistan refinery hail from the Gulf, Europe and the United States. Make Oil has also proposed to build a smaller refinery in Dhouk that can launch operations in nine months, while work on the bigger facility continues, Kheireddine said. Make Oil is also among the bidders to build a $2.2 billion refinery in Basra. That project would take about two and a half years to finish,and would have a capacity of 150,000 barrels per day, Darwish said. Make Oil's biggest problem in completing the Basra deal is getting to Basra - because of the sectarian conflict in Iraq, company executives are unwilling to travel there to finish negotiating the deal. But Kheireddine expressed hope that the contract would be signed in two or three months if the situation allowed it. In Kurdistan as in Basra, Make Oil has faced fierce competition from Gulf oil firms, many of which enjoy vast financial resources and experience. The Lebanese say their good relationships with the ministry and the Kurds have helped their cause, and they are eager to build factories and public-works projects in Kurdistan. Iraqi politicians are discussing the formation of a new alliance designed to isolate the radical young Shia cleric Moqtada Sadr. The alliance would bring together some of the main Shia, Kurdish and Sunni groups, but the party of Prime Minister Nouri Maliki has not decided whether to join. One of the central, and most difficult, questions in Iraqi politics is what to do about Moqtada Sadr and his powerful militia, the Mehdi Army. Sunni Arabs accuse the militia of carrying out sectarian attacks, and the Americans have long been pressing Prime Minister Maliki to dismantle it. Some of the main political parties are now so worried about Moqtada Sadr's growing influence that they are trying to put together a new alliance designed to weaken and marginalise him. This would bring together the two main Kurdish groups, one of the main Shia parties - the Supreme Council for the Islamic Revolution in Iraq, or Sciri - and the Sunni Islamist party led by the country's vice-president, Tariq al-Hashimi. But Mr Maliki and his Shia party, Daawa, are undecided about whether to join. The prime minister is politically dependent on Mr Sadr's support, and some members of his party favour keeping him inside the political tent - rather than provoking him by trying to push him out. Mr Maliki may be worried that his political rivals, perhaps with quiet support from Washington, want to force him from office. Last week President George W Bush met one of the key members of the proposed new alliance, the Sciri leader, Abdel Aziz al-Hakim. Later on Tuesday, he plays host to Mr Hashimi. Iraqi Prime Minister Nuri al-Maliki stressed on Wednesday [13 December] that he will announce new security measures soon in order to improve the security situation in Iraq. During his reception of a US Congressional delegation headed by Senator John McCain, Al-Maliki said that he will announce new security measures in the upcoming days in order to improve the security plan. He renewed demands to expedite arming the Iraqi forces and to grant these forces more authorities and training so that they can be capable of undertaking security tasks all over Iraq. Al-Maliki underlined the importance of proceeding with the reconciliation plan and expanding the political partnership so as to include all those who believe in giving greater weight to dialogue, abandoning weapons, respecting the rule of law, rejecting any armed manifestations by parties other than government agencies, and restricting weapons to the state's security services. Japan will provide an JPY 82.64 billion (USD 710.6 million) loan to Iraq to help improve the country's crude oil and electricity-related facilities, the Foreign Ministry announced Monday. The loans carry an interest rate of 0.75 percent and must be repaid over 40 years, including a 10-year grace period, and will be offered through the government-affiliated Japan Bank for International Cooperation, the ministry said in a statement. Of the amount, JPY 50.05 billion (USD 430.4 million) will be used for the construction of a pipeline to export oil from the southern Iraqi city of Basra. The remaining JPY 32.59 billion (USD 280.2 million) will be used to stabilize power transmission across the nation. The loan is the latest batch of the up to USD 3.5 billion worth of low-interest loans which Tokyo pledged for Iraq at the international donors' meeting in October 2003 in Madrid. Japan, a key donor to Iraq, has pledged to provide Iraq a total of USD 5 billion in aid for its reconstruction for a four-year period from 2004 to 2007, including USD 1.5 billion in grants. The Shiite Thaarallah (God’s Wrath) party leader survived on Wednesday an assassination attempt when an explosive charge went off at his motorcade in northern Basra, a security source said.“The Thaarallah party leader Yosuf Sinawwi al-Mawsawi survived unharmed an attempted assassination at his life when an explosive charge went off at his motorcade in al-Nwaab district, 7 km north of Basra,” the source who asked not to be named told the independent news agency Voices of Iraq (VOI).The source added “two of Al-Mawsawi’s bodyguards and three civilians were wounded in the blast.” Thaarallah Party is an Islamic party based in Basra and it was first formed as a movement and later turned into a political party before the 2005 general elections but it won no parliament seat. More than 90 per cent of Iraqis believe the country is worse off now than before the war in 2003, according to new research obtained by Al Jazeera. A survey of 2,000 people by the Iraq Centre for Research and Strategic Studies found that 95 per cent of respondents believe the security situation has deteriorated since the arrival of US forces. Nearly 66 per cent of respondents to the Iraqi survey thought violence would decrease if US forces were to leave. Thirty-eight per cent were also "unconfident" that Nuri al-Maliki, the Iraqi prime minister, would be able to improve the situation in Iraq and nearly 90 per cent described the government's implementation of its commitments and promises as very poor. Of the respondents, 36.5 per cent said they felt the official security forces were unable to keep control in the country. U.S. President George W. Bush had talks by telephone with Kurdish leaders of Iraq on Wednesday to seek an effective way to curb worsening situation in the war-torn country. In his talks with Iraqi President Jalal Talabani and Kurdish regional President Massud Barzani, the two Iraqi leaders "spoke of how they share the President's (Bush) vision for Iraq and were cooperating to be full partners against terrorism and tyranny, and building the new Iraq," White House spokesman Tony Snow said. Prior to his talks with Kurdish leaders, Bush has met within two weeks with Iraqi Prime Minister Nuri Malik, powerful Shiite cleric and political leader Abdel Aziz al-Hakim and Iraq's top Sunni elected leader, Vice President Tareq al-Hashimi. "We've talked in recent days about a moderate bloc that has Sunni, Shia, and Kurdish leaders, and both men fit into that moderate bloc and pledge their cooperation, not merely in building broader support for the government, but also taking action against those who want to destabilize it through acts of terror," the spokesman said. Gunmen in military uniforms kidnapped dozens of people Thursday from a major commercial area in central Baghdad, the second mass abduction in the capital in a month. The attackers drove up to the busy al-Sanak area in about 10 sport utility vehicles and began rounding up shop owners and bystanders. Two police officers said 50 to 70 people were abducted. The al-Sanak area - one of the capital's main commercial districts - holds stores selling auto spare parts, agricultural equipment and the small power generators that are ubiquitous in Baghdad due to severe power shortages. The stores are owned by a mix of Shiites, Sunnis and others and it was not immediately clear why the area was targeted. But suspicion fell on militias, which are believed to have infiltrated police forces and have killed hundreds in sectarian violence, personal vendettas and kidnappings for ransom. A spokesman for the Defense Ministry, which oversees the army, said the Interior Ministry, which oversees the police, is in charge of the area, but stressed the difficulties in controlling the distribution of uniforms. "Anyone can buy military or police uniforms from the market although we have issued orders to confiscate these uniforms and punish the owners," spokesman Mohammed al-Askari said. "This issue (uniforms) can't be controlled as each soldier has more than one uniform." Meanwhile, officers were on high alert Thursday after receiving tips that militants were moving bombs into the Shiite Sadr City slum. Another police officer said authorities had stepped up security in Sadr City after receiving tips that 10 car bombs had entered the area and militants were trying to smuggle more in. The officer, who spoke on condition of anonymity for security reasons, said the number of police patrols and checkpoints had been increased and police were intensifying searches of cars entering the district. The Interior Ministry confirmed that it had received tips about car bombs aimed at Sadr City from people calling into a terror hot line. Jordan and Iraq signed an agreement Wednesday to coordinate intelligence on al-Qaida and other terrorist groups, a show of cooperation between two countries whose relations have been marked at times by suspicion. The deal came a week after the U.S. Iraq Study Group called for Iraq's neighbors to take a more active role in stemming the violence ripping the country apart. The Jordanian and Iraqi interior ministers met in Amman along with top security officials from each country. A joint statement said the two countries agreed "to exchange information related to terrorism" and organized crime. Relations have at time been tense between the Shiite-led government of Iraq and Jordan, whose mainly Sunni population has close ties to Iraq's Sunni Arab minority. Iraqi officials are concerned that Jordan is harboring former members of Saddam Hussein's regime who are believed to be providing financial and other backing to insurgents. Jordan strongly denies the claim. Still, Jordan hosts two of Saddam's daughters, allowing them to stay on "humanitarian grounds." Harith al-Dhari, the head of Iraq's influential Sunni Association of Muslim Scholars, also took refuge in Jordan recently after the Iraqi government ordered his arrest. During the talks, the Iraqis also brought up new restrictions in Jordan making it more difficult for Iraqis to obtain residency and entry permits, said Iraqi Ambassador Saad al-Hayani. Nearly 2 million Iraqis have fled their country in the past three years, and Arab countries have grown more reluctant to let them in or allow them to stay. An estimated 660,000 Iraqis are in Jordan, about half of them Shiite Muslims. Jordan says the restrictions are necessary to prevent terrorism. But the kingdom is widely believed to be trying to stem the influence of Iraqi Shiites in Jordan. Al-Fayez promised to ease the restrictions, though the stressed that Jordan wanted to "remain an oasis for security and stability for all Arabs." In a statement posted on a Saudi Islamist website on December 11, 38 prominent Saudi clerics praised the Iraqi insurgency and called on Sunni Arabs throughout the Middle East to mobilize against Iraq's Shi'as and to support the country's Sunni Arabs, international media reported on December 12. 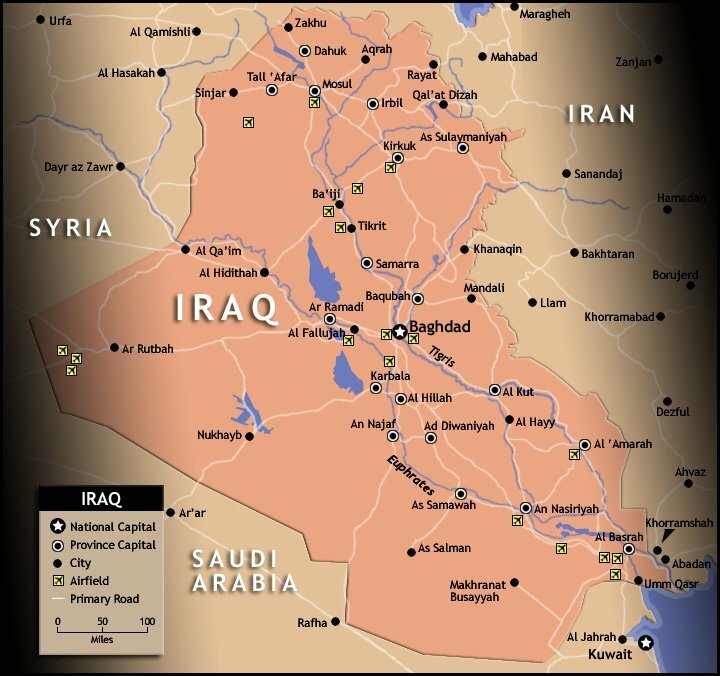 The clerics warned that Shi'as are rapidly taking control of Iraq in a conspiracy with the "Crusaders" and, as a result, are marginalizing the Sunni Arab population. "After almost four years of occupation, it is clear that the aim behind this occupation is for the Crusaders and Shi'as to take control of Iraq, paving the way to complete their control over the region," read the statement, which was dated December 7. 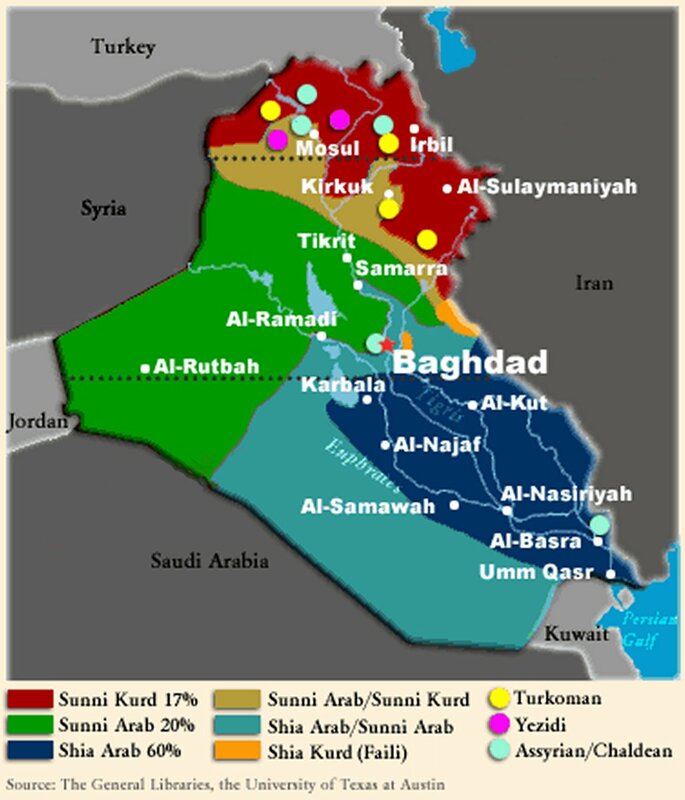 Iraq's Sunni Arabs, including remnants of the disbanded Ba'ath Party, are widely believed to form the backbone of the Iraqi insurgency. Gunmen attacked the convoy of Iraq's Shi'ite vice president, Adel Abdul Mahdi, in Baghdad on Thursday, but there were no injuries, Interior Ministry spokesman Brigadier Abdul Karim Khalaf said. An aide to Mahdi denied any attack had occurred, saying the vice president was in his office. Khalaf and two Interior Ministry officials who spoke on condition of anonymity told Reuters Mahdi was in the convoy but was not hurt. They said the attack took place in Jamiaa district, a mostly Sunni area in western Baghdad. "The convoy was going toward Karrada district and reached Mulla Huwaish Mosque when gunmen opened fire on it. Security guards returned fire," Khalaf said. Two decades of diplomatic boycott ended on Monday when Syria and Iraq re-opened their embassies in each other's capital. Iraq's flag was raised on the roof terrace of its embassy in Damascus in a ceremony attended by Syrian and Iraqi officials. A similar event took place in the Mansour district of Baghdad outside the US-controlled Green Zone, officials said. 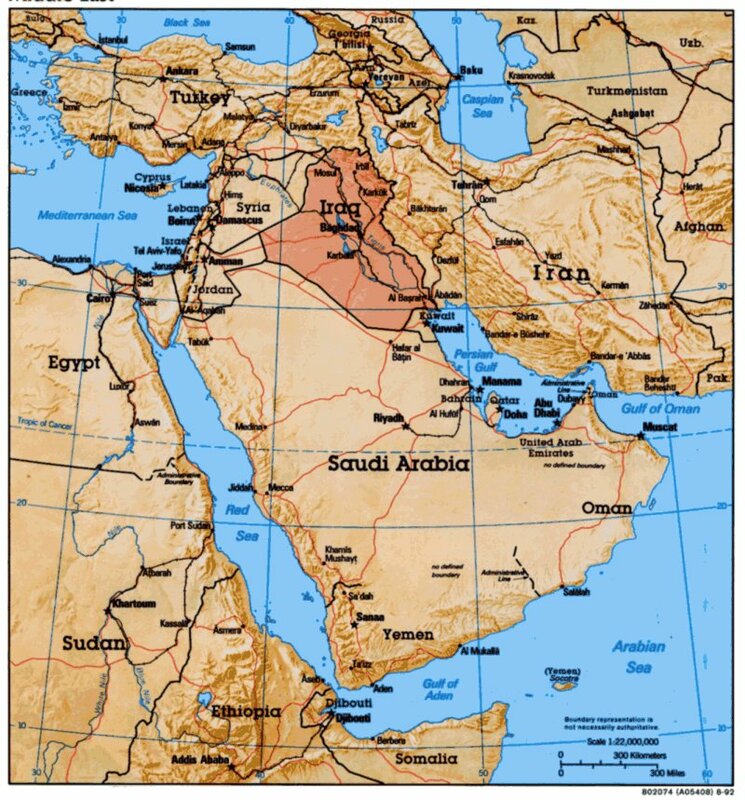 Iraq and Syria severed ties when Syria sided with Iran during the Iraq-Iran war in the 1980s. The two governments agreed to restore full diplomatic ties last month during a visit by Syrian Foreign Minister Walid Al Moualem to Baghdad. Iraq's national security adviser Muwaffaq Al Rubaie yesterday said that there would be no red lines in the reconciliation process launched by the Iraqi government. "The central theme of the Iraqi government is national reconciliation. We will accept any organisation or individual as long as they are not Al Qaida. We will talk to former regime figures as well as religious leaders and others, and everything could be on the table," Al Rubaie said in Manama. "We will negotiate all their demands but right now we cannot disclose whom we are talking to," Al Rubaie told the Manama Conference 2006. "At the national level, we have already had three important conferences with political religious leaders. We will also have an important conference this month with political leaders who include people who refused earlier developments," he said. At the regional level, there is a need to have a security pact against terrorism. "At the international level, we should not make this a US project, it should be an international community project," Al Rubaie said. He said the nature of the conflict in Iraq was in fact a competition between groups competing for political power and financial gains. "It is ... a fight between moderates and extremists," he said, adding that violence was "very localised, mainly in two areas". "If we do not help Iraq control the sectarian violence, it will land on the doorsteps of Saudi Arabia, Bahrain, other GCC countries and even further up in Pakistan and India," he said. The Iraqi government to allocate 30% of its oil income to the people. Some Iraqi parliament members are proposing a project that would require the Iraqi government to allocate 30% of its oil income to the people, local media reported. "The basics of this project will be discussed with the Minister of Planning and the chairman of parliament's Economic Committee. It is expected to be submitted before parliament prior to the end of this year," Noraddin Al Hayali from the Iraqi Accord List said. According to economists, annual income in Iraq from oil is more than $30 billion. The project being proposed by the parliament members requests that $10 billion be distributed to the people. The Iraqi president on Sunday sharply criticized the bipartisan U.S. report calling for a new approach to the war, saying it contained dangerous recommendations that would undermine his country's sovereignty and were "an insult to the people of Iraq." President Jalal Talabani, a Kurd and one of the staunchest U.S. supporters within the Iraqi leadership, also said U.S. training of Iraq's army and police had gone "from failure to failure." He criticized the recommendation by the Iraq Study Group calling for increasing the number of U.S. troops embedded with Iraqi units to train Iraq's forces from 3,000 to 4,000 currently to 10,000 to 20,000. "It is not respecting the desire of the Iraqi people to control its army and to be able to rearm and train Iraqi forces under the leadership of the Iraqi government," he said during an interview with several reporters in his office in Baghdad. Talabani was the most senior government official to take a stand against the report, which has also come under sharp criticism from American conservatives who claim it amounts to a veiled surrender in the war against terror. Talabani said the Iraqi government planned to send a letter to President Bush "expressing our views about the main issues" in the report. He would not elaborate. "I believe that President George Bush is a brave and committed man and he is adamant to support the Iraqi government until they've reached success," Talabani said. He said setting conditions was "an insult to the people of Iraq." Talabani's criticism of U.S. training was directed at a key part of the study group's recommendation, which called for accelerated training of Iraqi forces and the withdrawal of most U.S. combat troops by the first quarter of 2008. Talabani said the 2008 date was realistic if the Iraqi government is given more responsibility for security. "If we can agree with the U.S. government to give us the right of organizing, training, arming our armed forces, it will be possible in 2008 (for U.S.-led forces) to start to leave Iraq and to go back home," he said. "If you read this report, one would think that it is written for a young, small colony that they are imposing these conditions on," Talabani said. "We are a sovereign country." He also pointed to the report's call for the approval of a law that would allow thousands of officials from Saddam Hussein's ousted Baath party to return to their jobs. Major partners in Iraq's governing coalition are in behind-the-scenes talks to oust Prime Minister Nouri al-Maliki amid discontent over his failure to quell raging violence, according to lawmakers involved. The talks are aimed at forming a new parliamentary bloc that would seek to replace the current government and that would likely exclude supporters of the radical Shiite cleric Muqtada al-Sadr, who is a vehement opponent of the U.S. military presence. The new alliance would be led by senior Shiite politician Abdul-Aziz al-Hakim, who met with President Bush last week. Al-Hakim, however, was not expected to be the next prime minister because he prefers the role of powerbroker, staying above the grinding day-to-day running of the country. A key figure in the proposed alliance, Vice President Tariq al-Hashemi, a Sunni Arab, left for Washington on Sunday for a meeting with Bush at least three weeks ahead of schedule. "The failure of the government has forced us into this in the hope that it can provide a solution," said Omar Abdul-Sattar, a lawmaker from al-Hashemi's Iraqi Islamic Party. "The new alliance will form the new government." The groups engaged in talks have yet to agree on a leader, said lawmaker Hameed Maalah, a senior official of al-Hakim's Supreme Council for the Islamic Revolution in Iraq, or SCIRI. One likely candidate for prime minister, however, was said to be Iraq's other vice president, Adil Abdul-Mahdi, a Shiite who was al-Hakim's choice for the prime minister's job before al-Maliki emerged as a compromise candidate and won. It was not immediately clear how much progress had been made in the effort to cobble together a new parliamentary alliance. But lawmakers loyal to al-Sadr who support al-Maliki were almost certainly not going to be a part of it. They had no word on al-Maliki's Dawa party. They said al-Maliki was livid at the attempt to unseat him. A senior aide to al-Sadr, who insisted on anonymity for the same reason, said the proposed alliance was primarily designed to exclude the cleric's backers and they would resist. The al-Sadr aide said recent contacts with the office of Grand Ayatollah Ali al-Sistani, spiritual leader of most Iraqi Shiites, indicated the Iranian-born al-Sistani was not averse to replacing al-Maliki. Al-Sistani issued an unusually harsh criticism of the government in July. Al-Hakim's SCIRI, along with parliament's Kurdish bloc and al-Hashemi's Islamic party, are likely to be the major powers of the new alliance. Independent lawmakers are also expected to join, legislators said. Al-Hashemi's Islamic party said Sunday it would not join any future government unless it had a real voice. Fresh attacks against Sunnis in a mixed neighborhood of northwestern Baghdad are raising new fears of an organized campaign by Shiite militants to drive Sunnis from the area and strengthen militia control of the capital's north. Witnesses say scores of Sunni families have been fleeing the Hurriyah neighborhood in recent weeks, and Sunni organizations claim that the Shiite-dominated Iraqi army and police have done little to stop the violence. Iraqi commanders deny the charge and say they are encouraging Sunnis to remain in Hurriyah and assuring them of their safety. Still, the authorities are clearly struggling to curb the violence. Hurriyah was relatively calm Sunday, a day after about 600 Iraqi soldiers were sent there in response to clashes in which police said at least two people were killed and two others wounded. According to witnesses, the latest trouble in Hurriyah started Saturday when Shiite militiamen entered a Sunni enclave after Sunnis warned the few Shiites living there to leave or be killed. Still, it appeared unlikely the calm would last long. "We are in control now, but we fear clashes will break out again," the Iraqi army commander for west Baghdad told The Associated Press on Sunday. But the commander refused to allow his name to be published, fearing reprisals by Shiite gunmen waging a desperate battle with U.S. and Iraqi forces for control of Baghdad's streets. According to witnesses, the latest trouble in Hurriyah started Saturday when Shiite militiamen entered a Sunni enclave after Sunnis warned the few Shiites living there to leave or be killed. An official of the Iraqi Islamic Party, the country's biggest Sunni Arab political group, told reporters Sunday that an organized campaign was underway to force Sunnis out of Hurriyah, and he accused Iraq's Shiite-led government of doing little to stop it. The official, Omar Abdul-Sattar, claimed that during the past five months, more than 300 Sunni families had been forced out of Hurriyah, more than 100 Sunnis killed and 200 wounded, and at least five Sunni mosques burned, along with houses and shops. His figures could not be independently confirmed. Abdul-Sattar said his party rejected sectarian violence of all kinds but accused Prime Minister Nouri al-Maliki's government of protecting Shiite areas of the capital while ignoring the needs of mostly Sunni ones. The government has denied those allegations. It is unclear why Hurriyah has been targeted. However, some Iraqis believe Shiite militants are trying to establish a Shiite pathway from Sadr City in the east to the Shiite areas in western Baghdad. That would give the Shiites control of northern routes into Baghdad and isolate the Sunni neighborhood of Azamiyah, a once-prosperous district where Saddam Hussein hid when the city fell to U.S. forces in April 2003. Pentagon report to Congress - March 2007 - "Measuring Stability and Security in Iraq"